The state of Colorado is known for its tree-lined highways and spectacular mountains vistas. It’s why millions visit the state each year to take in the incredible scenery, especially in the fall. 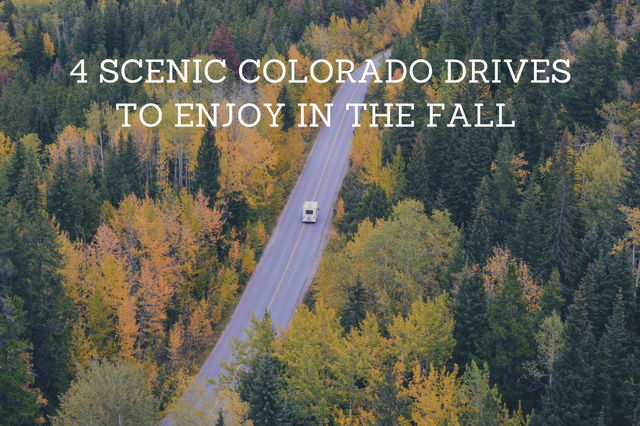 Those who are unfamiliar with the region might not know the best routes for experiencing the beautiful fall scenery in Colorado. Fortunately, our Littleton and Denver-based driving teams have passed along the top drives that allow you to see Colorado’s true fall beauty, and will give you adivces on how to understand Colorado chain law passenger vehicles. Begin this journey from the town of Ridgeway, and you’ll then head west on Colorado 62 through and over the Dallas Divide. The route is known for its unimpeded views of the Sneffels range, with a collection of aspen trees at the forefront. You can also see the bright red colors of mature aspens along the route. Once you arrive at Placerville, head southeast toward Telluride on Colorado 145. Going all the way through to Lizard Head Pass you’ll drive through dense groves of the region’s famed white-barked aspen trees. Click here to see this drive on Google Maps. The Grand Junction to Mesa route boasts some of the most memorable sights found anywhere across the state. Start this drive from Grand Junction and then drive east on the I-70 through Palisade and along the Colorado River, where the cottonwoods at the water’s edge will be slowly turning brighter shades of yellow from their original dark green hues. At Colorado 65, you can then head southeast through the region’s canyons and then up to Grand Mesa, where spectacular aspens line the roads, growing and stretching as far as you can see before you. To see the true difference in change from one season to the next, the Cottonwood Pass route is a great option. Begin this drive by heading down Cottonwood Pass from Buena Vista. Here, you’ll see the Collegiate Peaks on either side of your vehicle. You’ll then catch a glimpse of one of Colorado’s most densely populated areas for aspen trees. It’s a region in which you can almost see the trees changing with your eyes, as some remain a bright green summer tone while others strike a more relaxed and somber fall red. This route can be accessed via Highway 160 west from Walsenburg; you then branch off onto Colorado Highway 12 toward La Veta. This stretch of two-lane highway brings you up-close with volcanic formations as the roadway rises to Cucharas Pass on the precipice of the Spanish Peaks. Highway 12 meanders through both ranchland and forest, taking you through all the fall colors over a drive of several hours. It’s the perfect time to begin planning those fall trips! To learn more about how you can improve your skills on the road and get ready for that upcoming Colorado trip, call us today and we will teach you everything about Colorado chain law passenger vehicles!